Just got done taking the GMAT and am a bit disappointed with a 690. I got a 720 and 750 on the 2 GMAC practice tests (although did worse on a couple of the Manhattan Prep ones). I got only 50th percentile on Quant, but 93rd on Verbal. I went to IU/Kelley School of Business (3.89 GPA), have 2 years in investment banking, and 2 years in strategy/private equity at a "fly under the radar" family office. How disappointed should I be with a 690? Would that be enough to get me into a Harvard/Wharton/etc.? Most Harvard/Stanford aspirants score 720+ on the GMAT. However, acceptance depends on your overall profile. 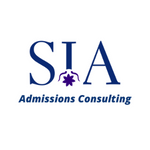 I recommend you discuss your profile with an admission consultant. First of all 690 is a good score. The GMAC officially states that your GMAT score on the test day can vary from +/-30 points. So it is not something to be disappointed of. Regarding the admission to the colleges mentioned, I am moving your post to the appropriate forum for the Admission consultants. You will get a better response here. Thank you for your post. Can you share a bit more about your background (community engagement, professional ambitions, etc.)? 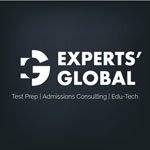 While 690 GMAT score is a good score, I would recommend retaking the GMAT trying to increase not only your overall score but also your quant. It is particularly important if you are interested in remaining in finance and targeting the finance track at Wharton or express an objective to pursue finance at HBS. Despite a strong GPA, the already highly competitive programs look at Quant in particular. I do recommend you also pay close attention to your story an how you present your case to the admissions team. You will need to really focus on how an MBA will help you on your professional journey. 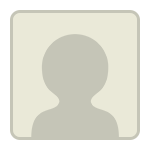 I am happy to discuss your profile further. If interested, please reach out. Thanks for the thoughtful reply! In terms of community engagement I unfortunately don't have a ton -- Banking kept me way too busy to volunteer, but I did take on training for the first year analysts. My current job is a little less hectic but still busy; I recently joined a volunteer organization, but it's ramping up slowly so unsure how much I will have to talk about come September. In terms of professional goals, I'm still developing my "story" but in general, I've spent 4 years as the "outsider looking in" at a large number of businesses. My general goals are 1) find a role within a business I'm truly passionate about and 2) move towards a management/operational role within a business to actually create value (vs just looking at a business for the 5 year IRR). Already booked my retake date so working towards that now! Looking at your practice test results, I'd recommend a retake. You have the time in hand, and why not do what it takes to shine on all fronts, especially if you are applying to top MBA programs. 690 is a solid score; however, you likely will need to improve your score for admission to M7 schools. That said, I’m glad to see that you plan to retake the GMAT. If you need any advice regarding your upcoming exam, feel free to reach out. You also may find it helpful to read this article about How to Score a 700+ on the GMAT. We quite align with the responses of the rest of the experts. While 690 is a decent score, you may look at a re-take considering you are targetting the M7. You have time at hand and you have been able to score much higher in your mocks; thus, a re-take makes a lot of sense.